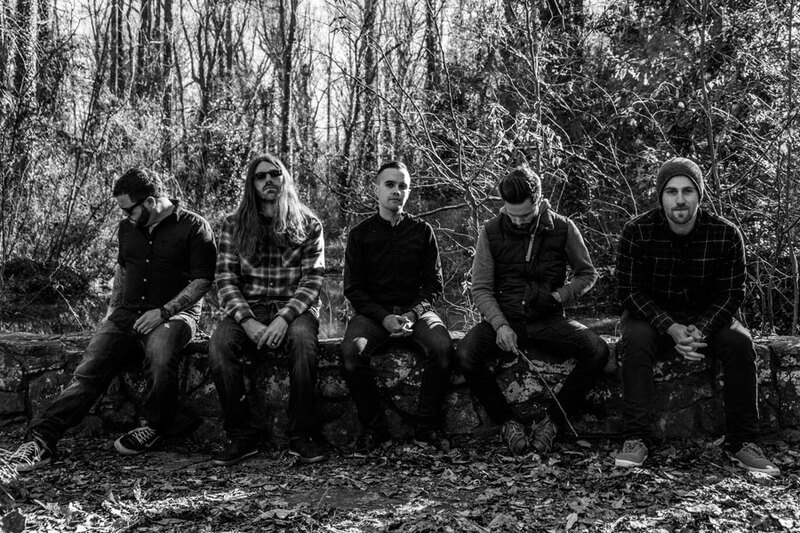 Released this past July, epically emotive prog-shredders Between The Buried And Me’s eighth studio album (ninth if you count their covers album), Coma Ecliptic, has seen them taking a bold leap forward into spastic jamming, powerful melodies, and new lyrical/story-telling territories as well, ranking highly on the Best Albums of 2015 Lists of writers and readers alike. The hype is not empty. Through constant touring, their live show is a well-oiled machine, and their songwriting achieves a rare balance between free-thinking and memorable. 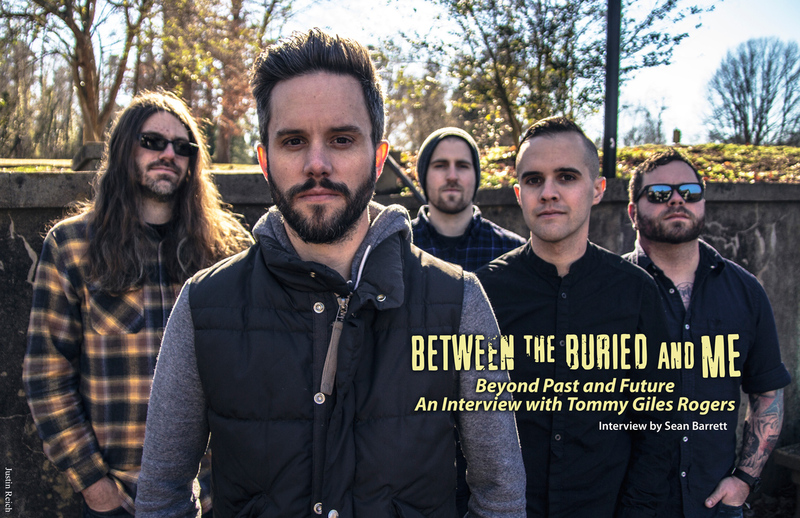 On a stop for the tour of this new album [with opening acts Native Construct, Intronaut, and Enslaved] vocalist/keyboardist Tommy Giles Rogers sits down with us to chat. Did y’all [BTBAM] get to pick the line-up for this tour? Tommy Giles Rogers: Yeah. We always try to be hands-on as much as we can. 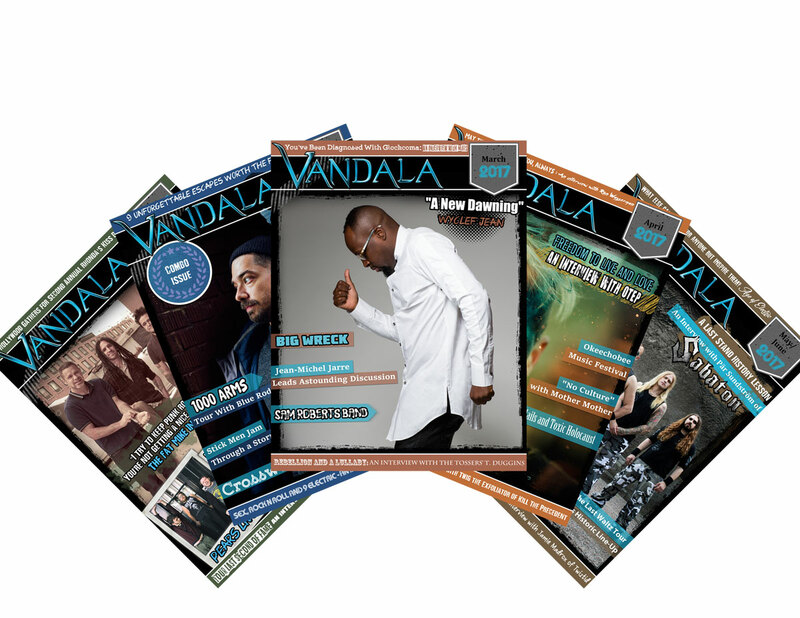 It’s tough finding support, because you obviously want bands that you like, but you need bands that can bring out people and cater to your audience as well. We just look at our shows as the whole night, rather than just us; we want diversity, and we want our fans to hear some new bands, if they haven’t heard them before, and just have a cool musical night. I feel like, when [2007’s] Colors came out, it was a step forward from what you were doing, and you were sort of on that for a while. This feels like the next step into the next thing. Tommy: Yeah, I feel like this is the biggest branch out since then. I don’t know if it was anything intentional. It just felt like it was time. With the whole Parallax, we spent a lot of time doing that. We just didn’t wanna re-write that. We just wanted to try something new and kind of take our sound somewhere we haven’t before. Right when we started writing, instantly it felt different. It wasn’t really anything that purposeful; we just wanted to focus more on songwriting – I guess that’s the reason it sounds the way it is – and focus more on melody and just creating a record that’s based more arounds songs. Yeah, I think we’re really happy with it. Do you view this as an augur of things to come? Tommy: The cool thing with us is you never know what’s gonna happen next – I mean, even we don’t. We’re never like “Alright, next record we’re gonna do this”. When it’s time to sit down and start writing, we just start working on our own individually and just kind of see where everybody’s head is and just kind of how we’re all naturally feeling. It’s exciting because every record, when we write together, we really don’t know what we’re all gonna write. It keeps us all on our toes and it keeps it interesting. The Parallax story bled into The Great Misdirect and Colors. Is the story for Coma Ecliptic complete unto itself? Tommy: There is a small connection with The Parallax, in the song “Turn On The Darkness”, actually, ‘cause, originally when I started writing for the new record, I was like “should I write a backstory of The Parallax?”, basically. I was kind of writing some ideas and it wasn’t really working out. The small portion that I liked worked for a part in this story, where he basically travels – y’know he goes to a different world in each song – in one of the worlds, the guy he encounters is his parallax, one of the guys from the parallax in his past. It’s a very small moment. It’s not explained that it’s him, but I just know in my mind that guy is him. As I was reading through the story, I was sort of jarred by all the shifts in POV and pronouns. What’s the idea behind that? Tommy: The whole story is just him being confused, even if he doesn’t know he’s confused mentally, so there’s always that – I think he’s constantly “Is it me, or is it we?” There’s this confusion. He’s kind of losing his mind throughout a lot of it. Tommy: -it’s simply just death. Were you active in writing for “The Coma Machine” music video? Tommy: [The director]’s actually our drummer’s brother. We’ve known him for years. When we started talking about what song we wanted to do, “Coma” was our first instinct, but the problem with doing a video for it was, lyrically there’s not a whole lot going on in that song. It’s basically just him waking up and preparing himself to go into the coma machine. The cool thing about the video is, we kind of made a side story. It’s part of the story that’s not on the record. The video shows him and some things in his past that we made up for the video, or the director made up, and it sets the foundation for this character and how he’s struggling with that current world he’s in, and him in general. I thought that was fun, because that was the only way we could create anything interesting. He started getting some ideas and I was like – we won’t write in his past, but we’ll give a glimpse into why he’s wanting to get out of his current world and travel to past lives. I was pretty hands-on with him as far as the story goes, but visually, it was all him. It was awesome; it was a really good job, and I think it came out really neat. Have you ever considered doing what King Diamond just did and acting these stories out live? Tommy: Yeah. We always like to do full-album tours. We’ll probably do that at some point for this record. Production-wise, we would love to go as crazy as possible, but you always have to keep finances in mind and all that. Whatever we can get away with, we’ll definitely try it. Getting off-track for a moment, have you heard the other coma-themed prog opera, The Human Equation by Ayreon? Tommy: I’ve heard about that. I haven’t, no. I actually talked to that guy not too long ago. He’s a really nice dude. I had one of his records when I was fairly young actually, in high school, but I hadn’t honestly listened to him since then. Some people on the internet mentioned that record. I need to dive into it. I’ve heard multiple things about it. I read somewhere that you’d be moving away from the death metal sound. Do you feel like, without it, you can have the same emotional or dynamic range, as you do going in both worlds? Tommy: I think the band will always have dynamics. I think that’s what makes up Between The Buried And Me. Even since day one, we had a lot of dynamics. Like I said earlier, I can’t really predict the future as far as where our music’s gonna go, but I always see us being heavy. I think that makes these stories stand out, drives the characters and the stories. There’s ups and downs, and there’s heavy moments, mild moments. I think that’s all essential to our sound and what we’re trying to achieve with our records. I feel like that part of us is still there in a lot of ways, even though it’s not as dominant as it used to be. At the same time, I think it makes the heavier stuff stand out even more on the newer stuff. It makes it even heavier because of the contrast. Coma Ecliptic’s been on a lot of Best of 2015 lists. Do you feel like this validates all those creative risks? Tommy: Yeah. There’s always that moment when you’re writing: “Hopefully people like this”, but you can’t really let that effect you. We knew this record was gonna be different, and we knew there was the chance of people kind of shoving us off. Throughout the years, we’ve always kind of kept fans on their toes. I don’t think we’ve been very predictable. Our fan-base, I think, has always expected that and is excited by that. We were confident in our fan-base because of that. The response has been great for the new record, so we’re very pleased, for sure. That’s all I got. Anything else you wanna add? Tommy: Thanks to the people listening. 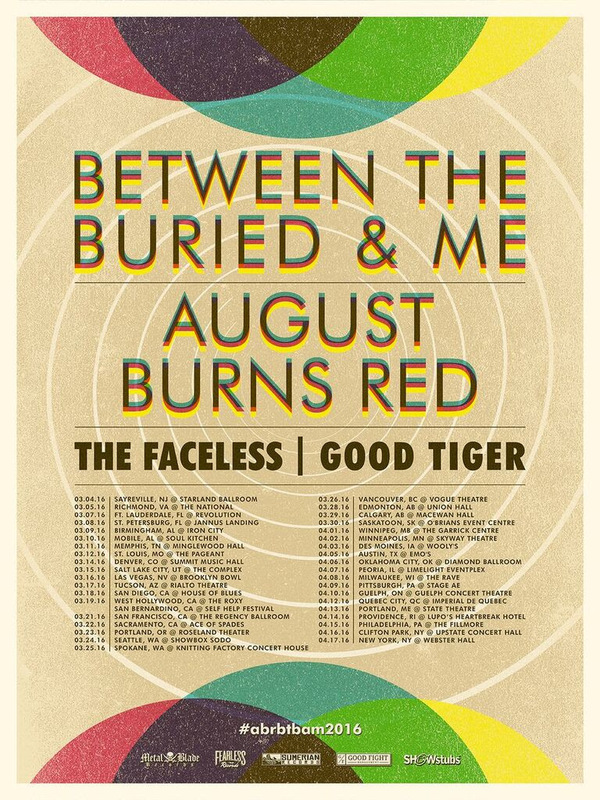 Between The Buried And Me and August Burns Red are joining forces for a North American tour that kicks off on March 4th in Sayreville, NJ at Starland Ballroom. With additional support from The Faceless and Good Tiger, the tour will wrap up in New York, NY on April 17th at Webster Hall. Tickets are on sale now with VIP Packages including General Admission Ticket, 18×24 signed poster, VIP Laminate/Skip The Line Pass, BTBAM/ABR Pintone Pin Set, and exclusive tour t-shirt, at showstubs.com/abrbtbam. 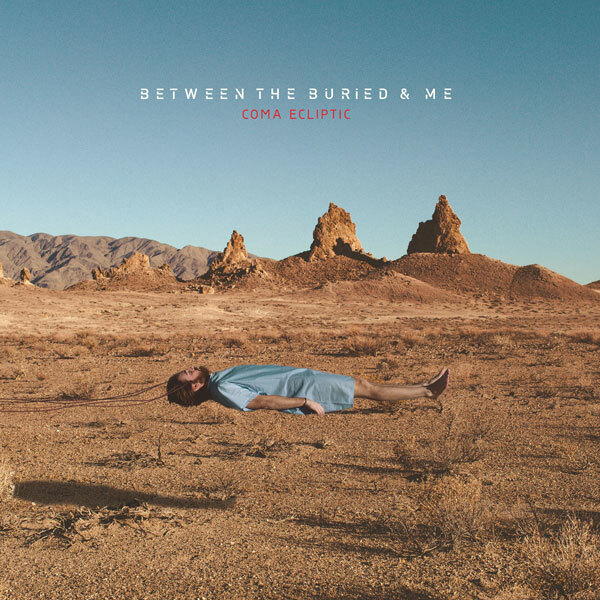 Between The Buried And Me latest album, Coma Ecliptic is out now!